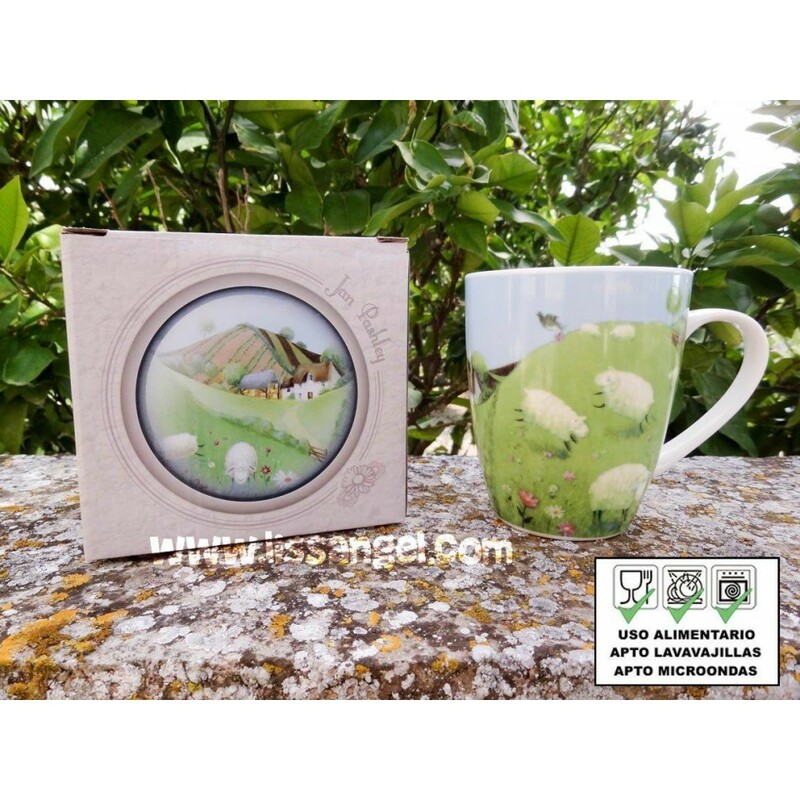 Breakfast every day admiring the beautiful landscape of this inspirational sheep mug. A flock of funny sheep grazing on a green meadow with a farm and a tractor in the distance. Made of chinese porcelain wrapped in a nice decorated box, perfect for gift. This mug is microwave and dishwasher safe. One of the most amazing animal mugs we have. How about breakfast a coffee or cocoa in this shaped tiger head mug? Made of ceramic, this mug has a very nice design. Several clown fish swim in a calm ocean, with a coral background and other fish. The spectacular handle is shaped like a tropical coral where stands a bluefish. Mug inspired by the graceful and beautiful seahorses, with a beautiful seabed print. The handle has a realistic shape of a seahorse. Christmas Mug "Funny Animals with Santa Claus"
Beautiful mug of a horse and a foal with Apache Indian-themed. If you are a horse lover, this mug is a must to start the day! The silence of the night and mysterious owls have inspired to create this original mug with a handle shaped like an owl. Stamped with the beautiful design of a field and a forest at dusk. There is no doubt that nature and animals are a unique and special mix. 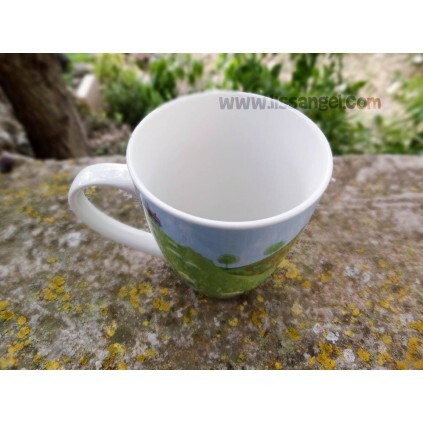 In this ceramic mug we can see a beautiful image of a fox and a hedgehog in a green forest. Another mystical mug in our collection of animal mugs. In this model we can see a beautiful witch cat with his crystal ball and his spell books. Beautiful porcelain mug with a wonderful print of a wolf resting on a rock under the full moon. A very nice and original gift. Christmas Mug - Pug Dogs "Merry Pugmas"
The perfect mug for a hot chocolate for the cold winter days, and even on Christmas. Some funny pug dogs with Christmas hats will have you a fun time while you take that delicious chocolate. 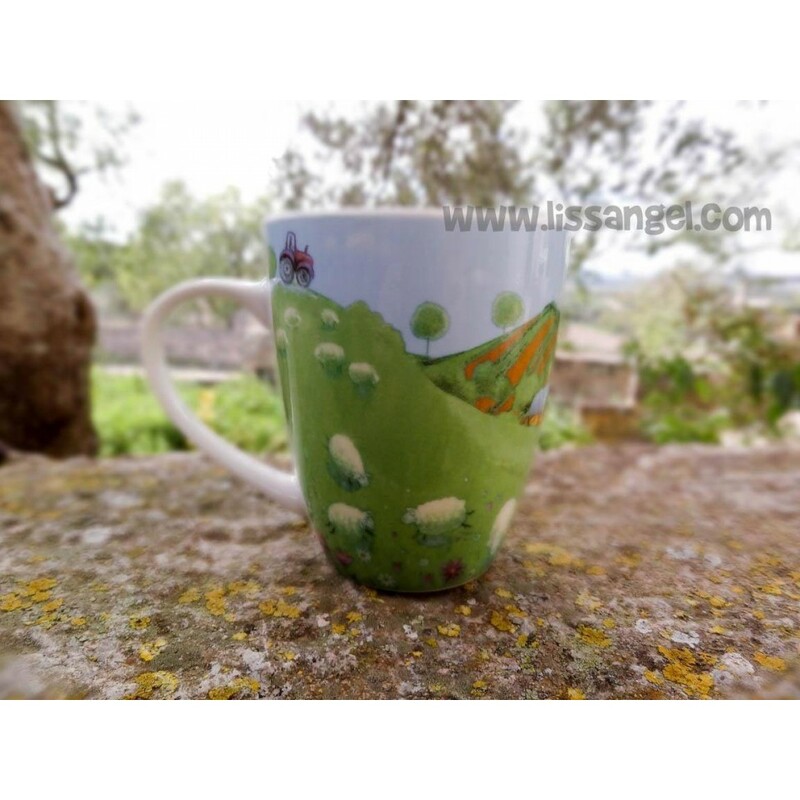 Animal design mug made of chinese porcelain where we can see some funny pigs grazing in the farmyard, along with other farm animals like chickens.